With auctions taking place all the time and prices going up and up, many of the record sales have been set in relatively recent years – including the entire top ten since 2013 – and still more records are bound to be broken in the years to come too. Here’s a snapshot of ten of the most expensive classic cars of all time as of spring 2018, based on their selling price at public auction. It’s little surprise that the most expensive car ever sold at auction was a Ferrari, which went at Bonhams on August 14th 2014 for $38,115,000. The auction took place in Carmel, California, some 52 years after the original manufacture of the Italian supercar itself. The Ferrari 335S sold in Paris on February 5th 2016 was manufactured in 1957, making it just a shade under 60 years old when the sale took place. At just over $35.7 million, it’s the European record holder and completes a one-two for the Prancing Pony. The 1954 Mercedes-Benz W196 went for $29.6 million at Bonhams in Goodwood on July 12th 2013, setting a UK record and still the highest amount ever paid at auction for a Formula One car. The 1956 Ferrari 290 MM sold at RM Sotheby’s in New York on December 10th 2015 is the third Ferrari in the top four, and currently the only other car to sell at auction for over $28 million. 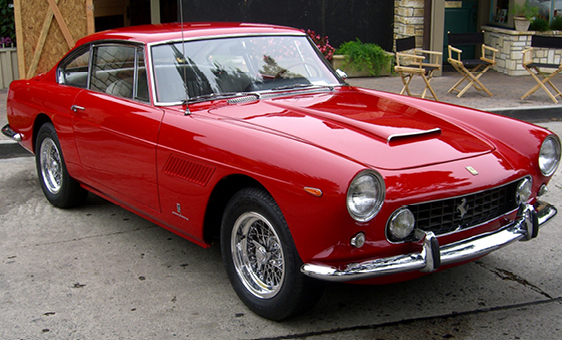 The first of two Ferrari 275 models sold in Monterey, California, by RM Auctions, this was a 1967 model that went for $27.5 million on August 17th 2013. Almost exactly a year later, on August 16th 2014, RM Auctions hit it big with another Ferrari 275, this time a 1964 model that sold for $26.4 million and now slots into the trio of Ferraris in 4th-6th on the all-time list. We stay in Monterey for the next three most expensive classic cars on this shortlist, starting with a 1956 Aston Martin DBR1 sold at RM Sotheby’s on August 19th 2017 for just over $22.5 million. In eighth place it’s a 1955 Jaguar D-Type, again sold at RM Sotheby’s one year earlier on August 19th 2016 – and significantly, this is the last entry on the list to go for over $20 million. And completing this triplet is a 1939 Alfa Romeo, the second entry on the shortlist to be designated Spider, which sold the following day on August 20th 2016 for $19.8 million, narrowly missing out the $20 million threshold. We started with a Ferrari 250, and we’re ending with one too, as at 10th place it’s a 1961 Ferrari 250 Spider that sold on February 6th 2015 for $18.5 million in Paris. It’s pretty clear that August is usually when the big money changes hands – so it’s very possible that the summer of 2018 will see some of these prices smashed again, and could even set records of over $20 million for the entire top ten.